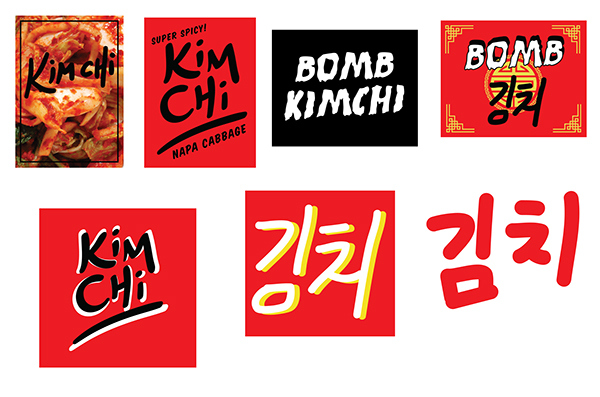 The second project for our Package Design 2 class, we were asked to develop an ethnic food line. 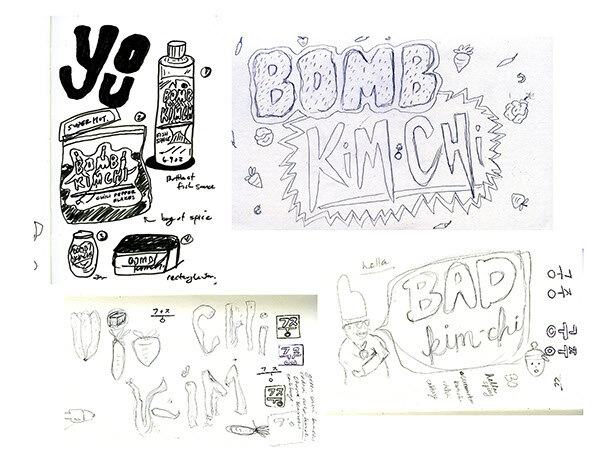 It was obvious for me to do something Korean, due to my cultural background but I wanted to break away from the conventional, tacky, and confusing packaging that are usually associated with Korean products. 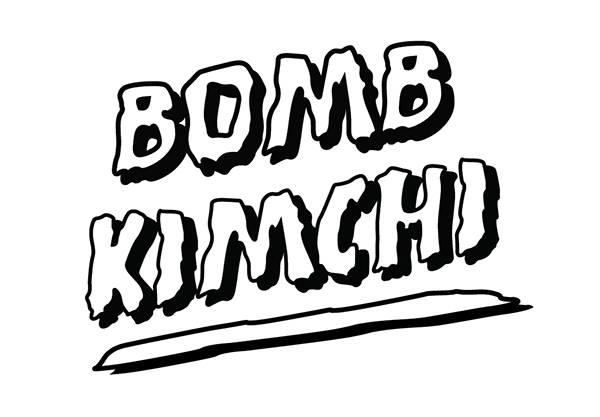 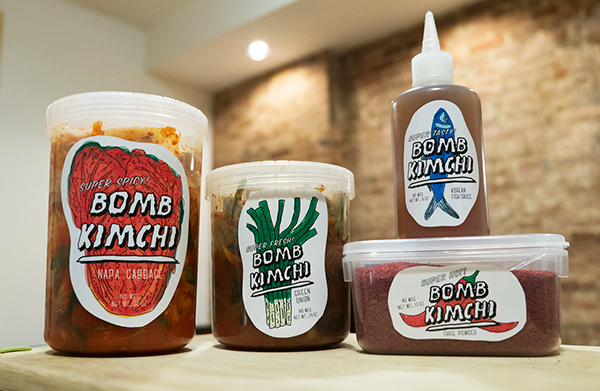 My goal was to create a welcoming, youthful design that will entice the customer to give kimchi a chance. 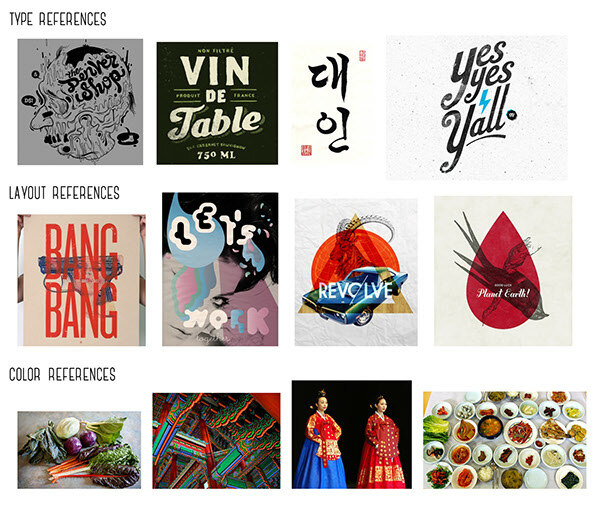 We had the freedom to come up with a fictional story and design appropriately. 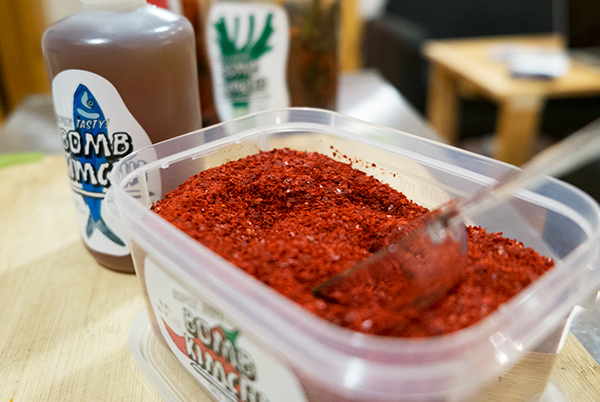 Straight from his kitchen in Brooklyn, student Christopher Lee started making his own kimchi to save money and to avoid the outlandish/overinflated kimchi prices in his local asian market. 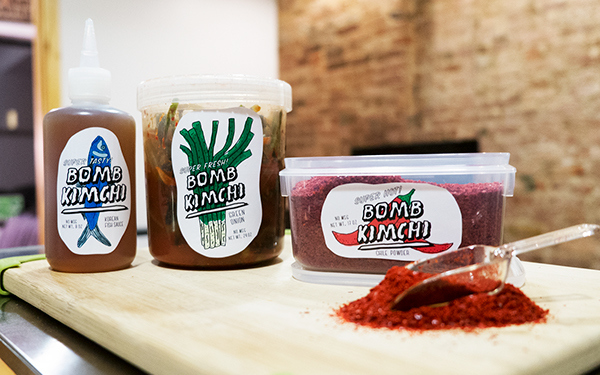 One day, he thought of a brilliant idea to start selling his own artisanal kimchi to make ends meet. 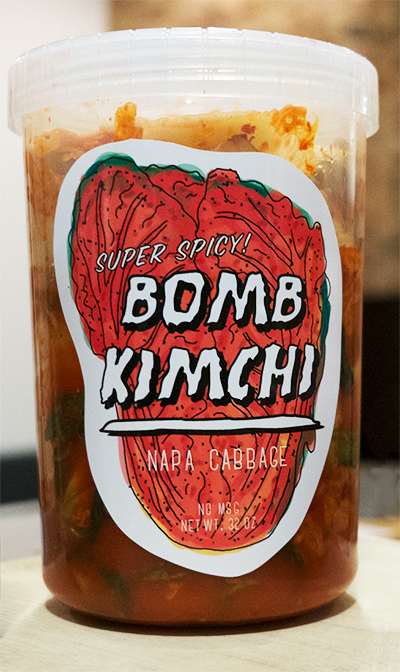 And he named it, Bomb Kimchi.